Not many years ago, the suggestion made by many was that book-buying would become a thing of the past, as new technology provided a better alternative, with books being available on-line. Thankfully, this seems not to have been the case (so far at least) and book sales on all subjects and book production have, if anything, increased. With so many mass-produced books, it is good to discover that the art and skills of good bookbinding have not been forgotten. Whilst the maxim “never judge a book by its cover” still holds, some new publications show that high-quality books are still being published, with fine endboards and finish, gold tooling to the spines, good endpapers and silken head and tail-bands, all resulting in books that are a visual delight from the outside, and a joy to handle. If the quality finish of the outward appearance of a book combines with high quality content, then that is a rare pleasure! White Star have already produced one small volume on the paintings of David Roberts (reviewed in AE 37). 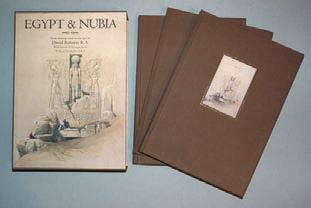 This new publication just has to be the ultimate for any David Roberts’ lover, for here, in a boxed set are his two volumes Egypt and Nubia and The Holy Land. These large books are superbly presented and produced with quality reproductions of David Roberts’ paintings. Many of the Egyptian views will be familiar to readers, but it is good to see then reproduced so well, although it is perhaps a shame that some of the landscape-format images are printed across two pages, which means the centre fold does detract a little. However, it is rewarding to be able to see his equally impressive and important images from the Holy Land, often excluded from many publications. As a special bonus, there is a slim volume in the set, which is a biography of David Roberts and which includes images of his other non-Middle Eastern paintings. The volumes are bound in cloth and come in a special box to protect them. The price may seem high, but is actually reasonable for the quality of the volumes, which, if produced individually and to the same quality, one would expect to cost much more. Published by White Star, 2007. This is another large (and heavy!) White Star publication. White Star have published several excellent books on various aspects of ancient Egypt, but usually concentrating on a site or subject, such as the Pyramids, the Valley of the Kings, the Egyptian Museum in Cairo, or Tutankhamun. 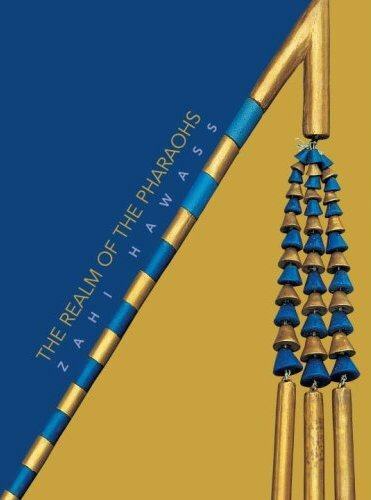 This book is the one that will help to put the subject matter of all the others in context, for this is a chronological history of ancient Egypt, also covering the main aspects of the culture. Full of absolutely stunning photographs, which one has now come to expect from White Star publications, the book is divided into four chapters, all of which approach the subject matter using the archaeological sites of Egypt, as well as the most important objects in museums from around the world. Most of the main sites in Egypt are included, as well as some that are less well known. The interior images of tombs and temples are particularly good, as are the museum object images. “A Brief History of Egypt” is followed by “The Land of the Living”, which looks at life in ancient Egypt, using places like Deir el Medina and Tel el Amarna to illustrate this. “The Domain of the Divine” examines the religion and the main deities, along with the various sites and the temples associated with them. “The Netherworld” is a chronological look at the development of private and royal tombs. This book is truly a visual delight, if difficult to handle! It is heavy, and some of the photographs fold out to a splendid four-page spread … so you need to read/look at this book seated at a table and you will need a sturdy bookshelf to accommodate it. It hard to imagine seeing any better photographs of the sites and objects than you will see in this book, which comes in a special box to protect it. The text is clear and concise, but it is the photographs (some of which have appeared in previous White Star publications, along with many new ones taken for this volume) that truly speak volumes. Published by White Star, 2006. The Sixth Dynasty tomb of Kagemni, next to the tomb of Mereruka at Saqqara and opposite the pyramid of Teti, may well be known to many readers, for it is open to tourists. The tomb is large and its walls are covered in some of the finest reliefs in the necropolis. The members of the Oxford Expedition to Egypt (OEE) have spent many seasons working in this tomb, as well as in other monuments of Old Kingdom date at Saqqara. The OEE recently announced the introduction of a new academic series, entitled Egypt in Miniature, which has come to fruition as a result of the Expedition’s long-term fieldwork in the necropolis. This series involves the systematic and comprehensive photography and analysis of scene details in Old Kingdom tombs, commencing in 2007-2008 with the Saqqara chapels of Kagemni (Volume One, i.e. the present volume), Ptahhotep (Volume Two) and Niankhkhnum & Khnumhotep (Volume Three) – these three initial volumes yielding a combined total of 1,717 analysed details. by providing numerous large-scale photographs of scene details and supplementing these images with analyses, archaeological data, and context line-drawings or photographs of the wall compositions (so that the details can be pin-pointed accurately), the aim is to produce informative and visually stimulating volumes in the series, each book being a visual and written conservation record of the decoration in a specific chapel as it exists at the present time. The primary function of the individual analyses is to offer insights into the many ways in which a scene detail might be studied, and for this reason the comments are wide-ranging, often surprising, and frequently applicable to all periods of ancient Egyptian archaeology and art. Sculpting techniques, artists’ errors, wall repairs, workshops and scene copying are all considered in the commentary, as well as topics such as photographic constraints, the limitations of epigraphy and photography as methods of recording, relationships between art and architecture, dating criteria, currently unique details, and more besides. An essential part of the Egypt in Miniature series is the OEE Scene Details Database, the initial phase of which is due online in the second half of 2007. This database is a record of approximately one hundred and eighteen scenetypes and mini-scene-types known to exist in Old Kingdom tombs, on blocks in site magazines, and in museums and private collections worldwide. Not only does the database contain a bibliographical and archaeological record of the known examples of scenes relevant to each of these scene types, but it also includes lists of the details relevant to each scene-type, and provides records of the known examples of the scenes in which each specified detail occurs. As the database’s content expands over a number of years, so too will its association with the series expand considerably. Moreover, the first volumes in the Egypt in Miniature series will provide the finest visual examples of many scene details mentioned in the database – simply because the best examples of numerous scene details tend to be those preserved in tombs in the Saqqara necropolis. Volume One of the Egypt in Miniature series was printed as a run of five hundred copies copies, and many have already been sold. The intention of the OEE team is to use the proceeds from the sale of this volume to finance the publication of the next in the series, each book being produced as a small-sized run, similar in size to a limited edition. This is a magnificent volume. The book is large (29.7 x 22.5 cm), with 554 pages, 540 black-and-white plates, tomb plans and 32 context line-drawings. The book looks splendid too, with a dark green faux-leather binding, gold lettering and patterned tan end-papers. Printed on highquality paper, the black-and-white images are crisp and clear, and each one reveals details that are often difficult or even impossible for visitors to the tomb to see. If you know the tomb of Kagemni, this book will add a new dimension to your understanding of its chapel, and the nature and function of the decoration. If it is a tomb with which you are not familiar, this book will be more than adequate as an introduction, well worth reading before any visit, or just a volume to sit and enjoy in the comfort of your own home. If you are a scholar or student of Egyptology, or of Egyptian art or archaeology, then this volume should prove to be well used. Published by the Oxford Expedition to Egypt, 2006. Hardcover, retail price £150, exclusive of the delivery cost; but introductory offer price £115, inclusive of UK delivery and £125, inclusive of Europe/Worldwide delivery. Day to ascertain the general public’s fascination and relationship with ancient Egyptian mummies in museum collections throughout the Englishspeaking world. The findings are fascinating, although there is perhaps an over-emphasis on the ideas of children. by a useful “objectography” as well as a general index. There are also listings for museums, films, television commercials, comics, adult and children’s fiction, songs and toys. It is illustrated and easy to read, with extra detail available in useful footnotes and the appendices I have mentioned. The section on films is particularly good. The sexual references are intriguing. 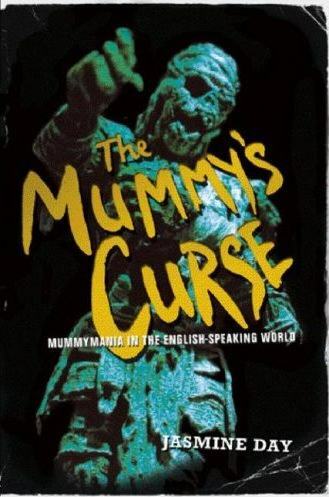 Surprisingly, Arthur Weigall is only mentioned in passing, despite the importance given to him for promoting the “mummy’s curse” by authors such as James and Hankey. But there is much here that is valid, new and innovative. I am glad to say Dr. Day never looses her sense of fun – the final chapter is entitled “Wrapping it up”! Mark is a member of the Southampton Ancient Egypt Society; he is an enthusiast and expert on ancient Egypt in films in general and the mummy in films in particular. Few monuments from the ancient world are as familiar to us as the Great Pyramid at Giza, and one might be forgiven for perhaps thinking that enough books have been published on the subject, especially those of an “alternative” nature. It is a good start, therefore, to find a new book, written by an established author, which takes as its its basic assumptions that the Pyramid was built as a tomb for King Khufu, son of Sneferu in Old Kingdom Egypt, some four thousand five hundred years ago, and that its design and construction were achieved by conventional means using basic skills, albeit ones technically advanced for the time. 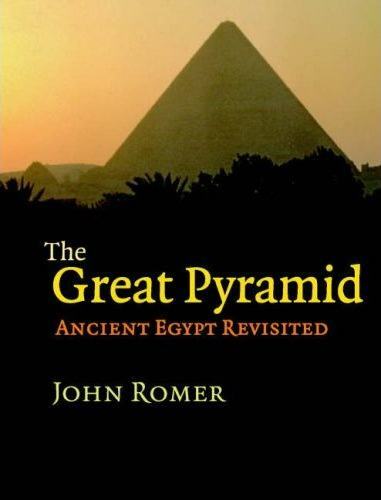 In this book, the author shows how the original plan of the Great Pyramid evolved from earlier pyramid designs. He also explains how the Pyramid was constructed, from sourcing and moving the stone; and he refutes the modern false idea that it was built by slaves. These, and some of the other aspects of the Pyramid may well be known to AE readers already, but, on the basis that for many people this might be the first pyramid book they have read, it is important to cover this ground.This is done clearly, concisely and comprehensively. The author introduces readers to some of the figures who in the last two hundred years have studied and written on the Pyramid, and whose legacy to the Western world is a fascination for the Pyramid in particular and ancient Egypt in general. There follows an overview of the Pyramid, full of statistics and information on how many people would have been required to work on the construction, the rate at which work progressed and over how long a period, who the builders were and what we know of their lives. The author shows how the site might have been levelled, surveyed and correctly aligned, and how the pyramid might have been built. This was a process which, as he demonstrates, saw many changes and alterations as the builders coped with the stresses and strains imposed by the colossal size and forces of the huge weight of the Pyramid. This made them amend their master plan and also undertake repairs to work already completed. Most importantly, he demonstrates that the internal spaces in the pyramid were key elements in the accuracy of the pyramid’s construction. A chapter looks at the geographical and geological aspects of Egypt and at locations where the raw materials were found, including copper and turquoise from Sinai, limestone from Tura and granite from far away to the south, at Aswan. The author explains how these factors helped to determine where the pyramid was located, and also points out that Giza would seem to have already been in use for burials at the time of Khufu. There is reference to the Nile, important for transporting building materials and the workforce, and the author interestingly comments that, rather than there being a single centralised city in ancient Egypt, the Nile itself acted as a thoroughfare throughout the country, making Egypt itself both a nation and an extended city. As the author notes, there is no direct evidence to inform us about the nature of the ritual and ceremony that would have accompanied Khufu’s burial and his concept of what happened after death. He examines some of the facts that might give us some insight into this. This is a large book, with nearly four hundred and fifty pages, plus about another hundred comprising the appendices – every page is packed with well-written, well-argued and informed detail and discussion. The author’s enthusiasm and knowledge for the subject comes across on every page. Whilst this may not be the last book to be written on the subject, it certainly more than adequately replaces and supersedes anything that has gone before. It is a really good read, and is sure to become much used by anyone, student or enthusiast, who has any interest in the Great Pyramid. Published by The Cambridge University Press, 2007. ISBN 0 521 87166 2. Hardback, price £24. The British Museum has a long and venerable history. When it opened in 1759, ancient Egyptian objects featured in the collections on display and included some of the first items from Egypt to be seen in Europe. Many of these were given as gifts to King George III and donated by him to the museum. Following the French invasion of Egypt and their subsequent defeat by the British, the collection grew steadily into one of the best and largest collections of Egyptian antiquities outside Egypt. It is surprising, therefore, that until now there has been no book on the early years of the museum and its Egyptian collection (and also perhaps a surprise that this book has not been written and published by British Museum staff and publishers). This is a scholarly and well researched book, but one which will be of interest to everyone, especially those who know the museum well. It is always fascinating to see how objects have been displayed over the years, and in the case of the British Museum, we have a span of over two hundred years (although this book only covers the period up to the 1880s). The way objects are displayed can tell us as much about the thoughts and aims of the museum staff of the time, as well as telling us about ancient Egypt, and readers will be aware of the recent, and planned, changes in the Egyptian galleries at the museum today. The book is well illustrated, and it is interesting to see how many of the familiar objects were first displayed in the museum, and how many of them have periodically been moved from one end of the sculpture gallery to the other. As the collection expanded, it was constantly necessary to move objects to avoid too much overcrowding, and also to make sense of their relationship to other objects displayed with them. When the museum first opened its doors it was definitely not intended for the general public; there was a strict policy as to who could and could not view the collections. It would seem that women and children were not allowed to see certain anatomical or other “disturbing” exhibits. The way the objects were described also speaks volumes. In 1759, statues of Egyptian gods were described as “wondrous curiosities”, in 1808, the larger statues recently installed were described as “colossal monstrosities”, but by 1823 they were “monumental masterpieces”, whilst smaller objects were “accessible oddities”. This reflects the newness of Egyptian art and artifacts to the Western world and also the desire to be amazed, entertained, and even repulsed by the curiosities being collected by the museum from all corners of the world. (Visitors today to the “Age of Enlightenment” display in the King’s Gallery of the museum can see the full range of curiosities collected in the early years of the museum and how they were grouped randomly by themes, rather than culture.) By 1854, all the objects were described as “historical documents”. This is an excellent book and, as a frequent visitor to the museum over many years, one that I have enjoyed immensely. 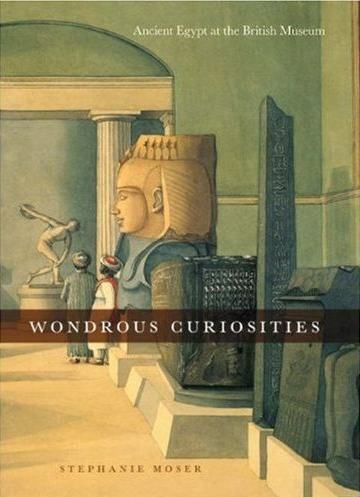 It is really interesting to read how the museum has evolved and to see images of the early displays of the many now-familiar “wondrous curiosities”. Published by The University of Chicago Press, 2006. 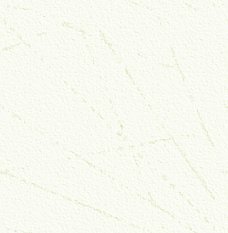 Many books mentioned here will be on the shelves of most main bookstores, but if not, they can be ordered, using the title, author name and the important and unique ISBN number. If readers are in London and want to see a copy of the book they are considering buying, the bookshop in the Great Court of the British Museum always has a good stock of Egyptian titles. Or try P&P Books: Dairy Cottage, Yarhampton, Stourport-on-Severn, Worcs, DY13 0UY. Tel: 01299 896996.